NASA astronaut and biochemist Peggy Whitson will return to Earth as the planet’s new record holder for longest time cumulatively spent on space by an American or a woman this weekend, touching down in a Russian Soyuz capsule in Kazakhstan at 7:22am local time (9:22pm Eastern). 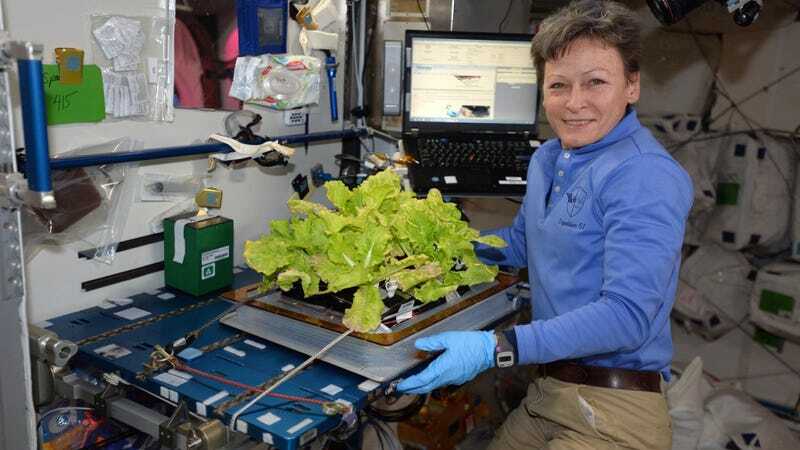 Whitson has spent the last nine and a half months in Earth orbit on the International Space Station, per the Washington Post, and counting her previous flights, will have logged 665 days in space. During her current mission, she also set the world record for oldest woman in space at 57 years old, and hit 10 spacewalks, more than any other woman. As the Post noted, she is also the only female astronaut to have commanded the ISS twice. According to the Post, one of the colleagues returning with her has spent even longer in the aether: Russian cosmonaut Fyodor Yurchikhin, who has cumulatively spent eight more days aloft than Whitson at 673 days. The current world record holder, cosmonaut Gennady Padalka, spent some 879 days in space. Russians have long dominated both cumulative and single-flight durations in space; the single longest spaceflight record holder is Valeri Polyakov, who spent just short of 438 days aloft from 1994-1995. As TechCrunch noted, Whitson was scheduled to return in June but “happily accepted” an invitation to stay on the ISS longer when Russian space agency Roscosmos canceled a joint mission to the station earlier in 2017. Also accompanying Whitson and Yurchikhin on their way home is US astronaut Jack Fischer, who will have spent 136 cumulative days in orbit on touchdown. Watch Whitson, Yurchikhin and Fischer’s return in real time via NASA’s live feed below.